Most Saturdays when I can get there, you’ll find me at lunch at ‘T Chow’ in Adelaide’s China Town. We call it Saturday Table. No rules, just come along with an interesting wine and a smile. The ‘Table’ as we call it has been meeting for over 25 years, every Saturday, same time, same table and same rules. Once a year we have what we call an ‘Away’ Table. 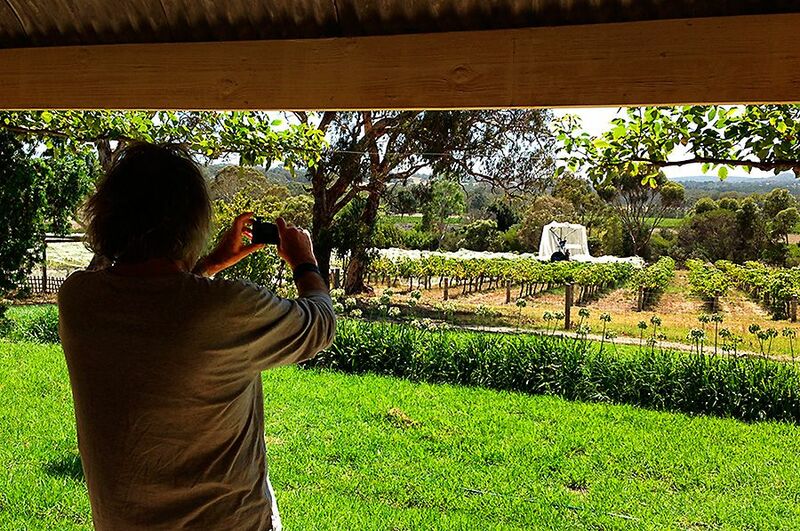 This year, wine writer and original table member Philip White suggested that we join him at Yangarra. 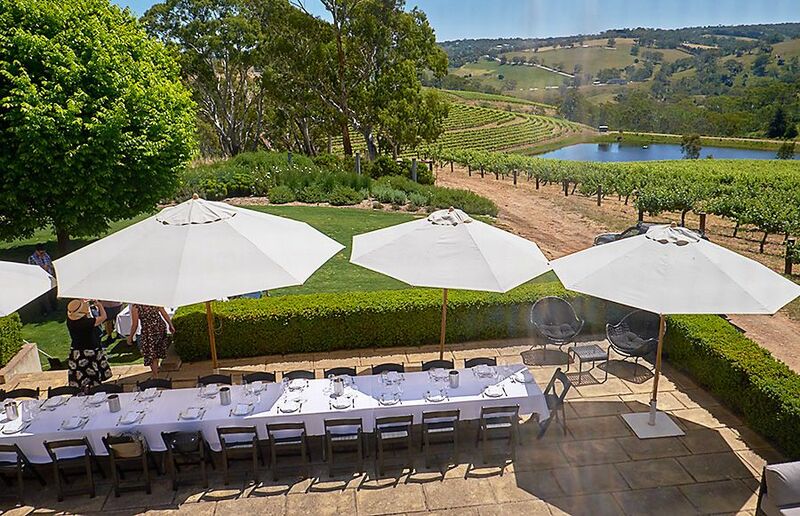 Peter Fraser, Yangarra’s winemaker, suggested a lunch at the White House on the Hickinbotham Estate. Peter and Whitey chose the wines, Cheong Liew joined with Nigel Rich and together they cooked us a very special meal, regular tabler Christopher Sykes made sweets. It was an ‘Away Table’ to remember. 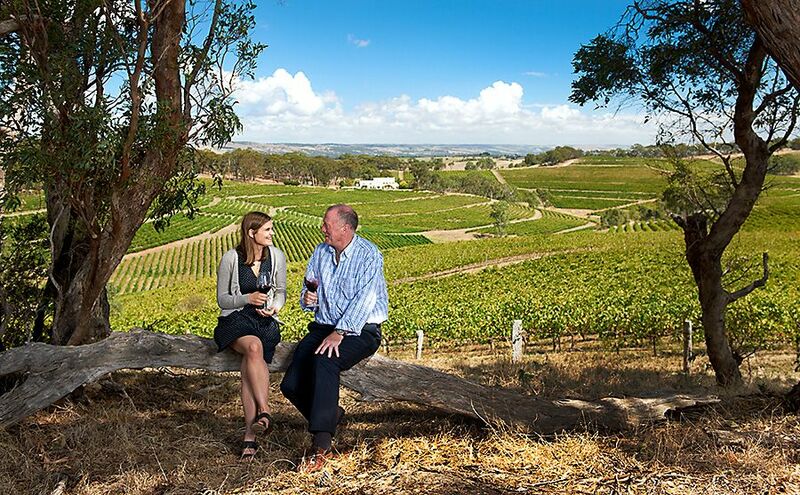 Peter was recently named the James Halliday’s ‘Australian Wine Companion Winemaker’ of the year. One of the first Grenache wines I really enjoyed was Yangarra ‘High Sands’, Peter made it. I caught up with him after our lunch, here is his story. What was your journey to Yangarra? After school my original plan was to do veterinary science, but being very academically challenged, I did agriculture. While at Uni I joined the Army Reserve. In the Adelaide University Regiment Officers’ mess I saw some fabulous wines. One of the early ones I remember was a 1987 Hill of Grace. Another was Wynns Ovens Valley Shiraz or Burgundy as it was called then. It’s quite amazing if I think of that wine now, it’s like, we really have come the full circle, it was bright and fresh, with a limited amount of oak. Studying agriculture, I couldn’t see past being a fertiliser salesman or inside a lab all day looking down a microscope. Then one night I went to an Andrew Garrett dinner. Warren Randall was the guest speaker, he rocked up, half an hour late, covered in grapes, all grubby and in a really dirty shirt. I ended up talking to him after the dinner and then spent the weekend with him doing pump overs, it was an inspirational moment. I decided, this is what I wanted to do. I started at Woodstock, went to St Hallett with Stuart Blackwell and Bob McLean, then to Normans. Big Bob, larger than life at times. Before I knew it I was an assistant winemaker and still not finished Uni. Not long after I started, the winemaker left and I was asked to run the vintage. I was really in the deep end, it was 1998 and I had just graduated. The 1998 Normans ‘Chais Clarendon’ Shiraz was a great wine – it took out the ‘WineState’ wine of the year. Our UK importers were liking the wines I was making and asked if I could come over to Spain for a vintage. I said I would do that, as long as they’d sponsor me for a study trip to France. Which they did. Spain was amazing, I went with what I thought were all modern ideas, then fell on my face really quickly. I wanted to select the vineyards and tell them when I thought they should be picked. Turned out all those vineyards were peasant farmed, they started picking at 8 Baume and finished at about 18. So I just sat at the weigh bridge and selected the fruit I liked. I didn’t speak any Spanish then, it was all very interesting, lots of drawings and diagrams between me and the winemaker. We made a Grenache that the UK clients loved, but the winery couldn’t get their head around the colour and the brightness of the fruit, they thought no one’s going to want to drink this stuff… but ASDA, the supermarket chain had a smile from ear to ear as this is exactly what they wanted. So back in 1999 I was making Grenache in Villa Robledo in La Mancha from over 100 year old vines. It’s an amazing resource, really incredible. It’s kind of considered as the Riverland of Spain. The value for money wines were phenomenal and still are to this day. 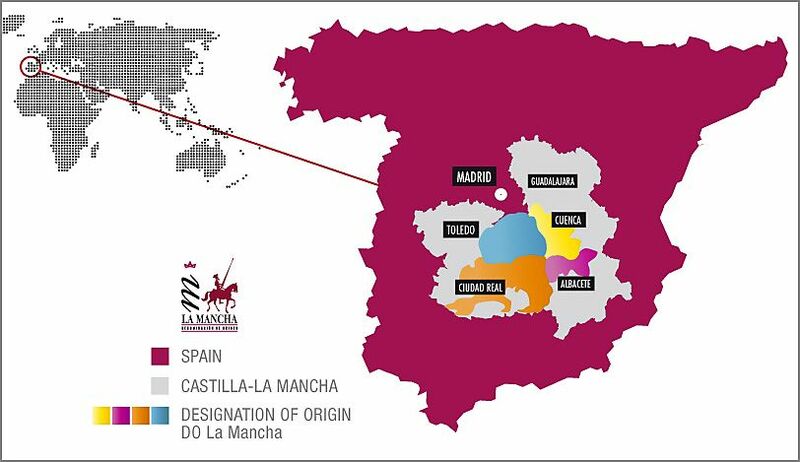 La Mancha regions in Spain. I returned to Normans in 2000, but they were in financial trouble, a lot of the senior execs left. Suddenly at around about 26, I was the Normans’ chief winemaker. Around this time, the word on the street was that the Jackson Family were coming to town. They wanted to meet the locals and were interested in doing some business . I met with the chief winemaker Randy Ullom. By November 2000, they offered me a job, it was morally too close to vintage for me to leave Normans, so I negotiated a deal for them to contract me out during the 2001 vintage. In April 2001 I became an employee of the Jackson Family. 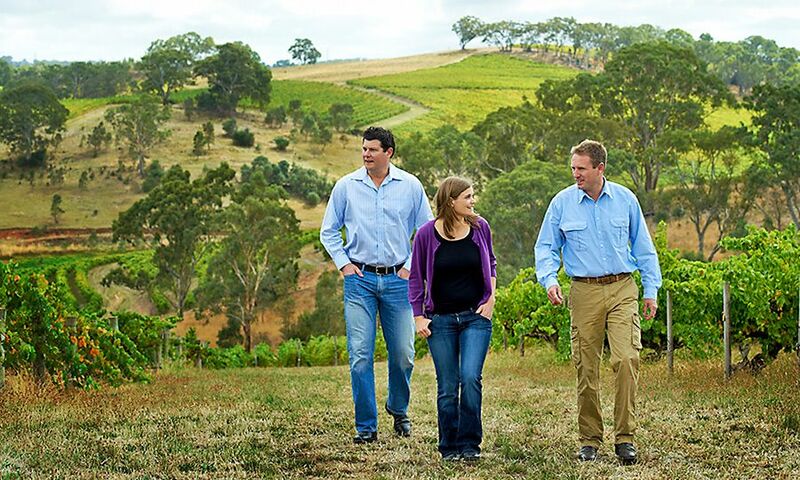 Yangarra is a small part of Jackson Family Wines. 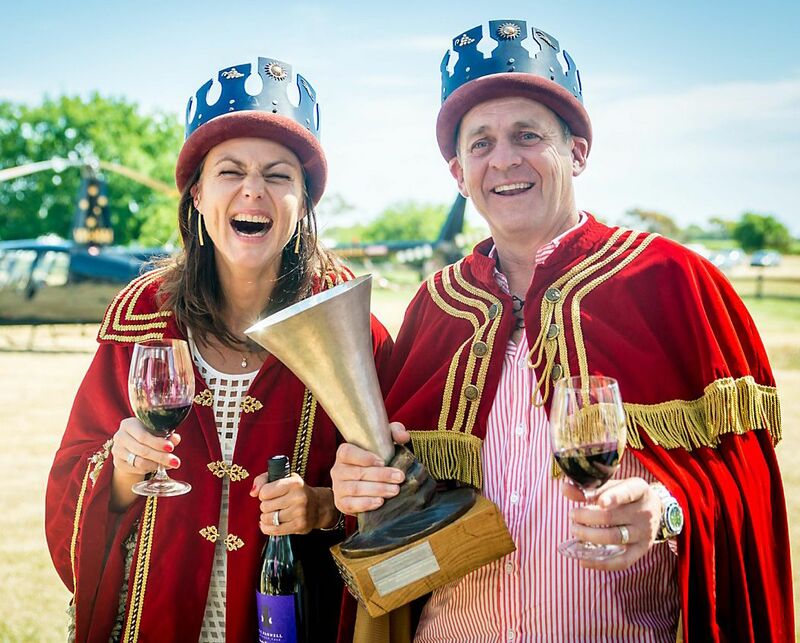 What led them to buy the old Normans Wines blocks and then Hickinbotham Clarendon vineyard ? When I joined the company, part of my job was to search for a vineyard. Jess Jackson and his wife Barbara Banke, had fallen in love with the Normans’ property. In July 2001 Normans went into receivership and the land went on the market. Luckily for me, the Jacksons really wanted it come hell or high water. I think McLaren Vale resonated with them. A friend of mine who travels a lot likens McLaren Vale to Sonoma 15 years ago. 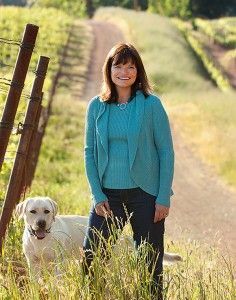 The Jackson Family Wines started in Sonoma. Barbara Banke : Photo supplied. Jess Jackson : Photo supplied. There was a really big moment when Jess came out here in 2005. Jess Jackson’s vision was just amazing. I also think I subconsciously led him in the same directions that I felt were the way to go. One of them was Grenache. We planted another 30 acres of bush vine Grenache. Back in the mid 2000s that seemed crazy. But that was typical of Jess’s vision, always thinking so far ahead and willing to take a risk. 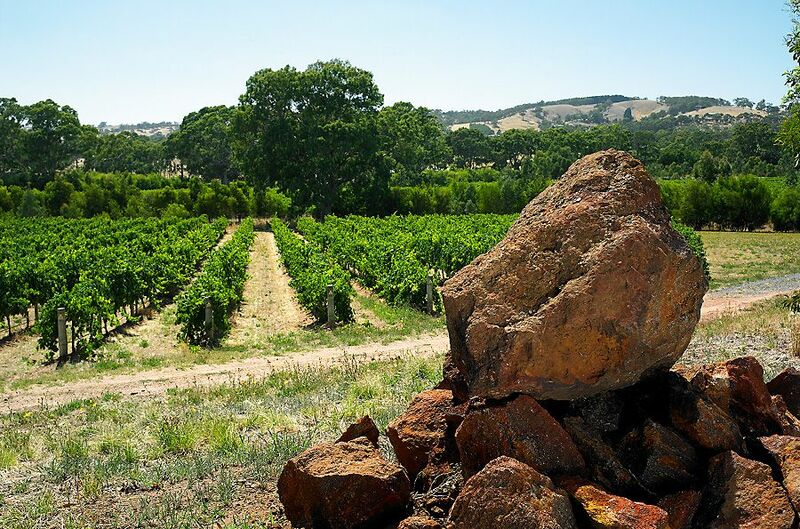 Grenache is such an amazing good jewel in McLaren Vale. Barbara Banke, was always involved in all the deals with Jess, a lot of people probably didn’t realise how much she was. Not long after Jess’s passing she spoke to me and said “Pete, I’m really keen to do something else in Australia, possibly McLaren Vale again”. I didn’t really treat it that urgently. Then she rang one day a few months later asking if I’d found anything. I put the Hickinbotham property up to Barbara, it was right up her alley. 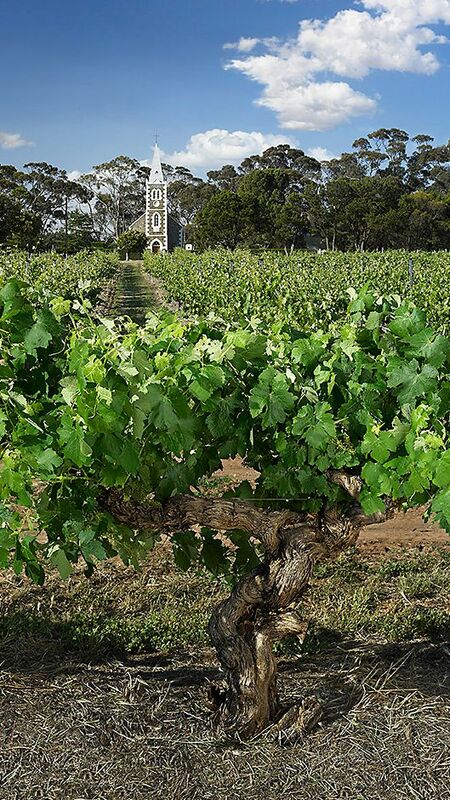 There’s lots of vineyards for sale but not many with the history and heritage of that vineyard. It was planted in the 1970s by Alan Hickinbotham. 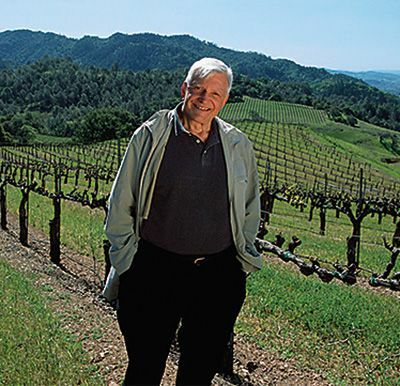 The Hickinbotham family have a lot of history in the wine industry, and I think that was quite a remarkable vineyard. 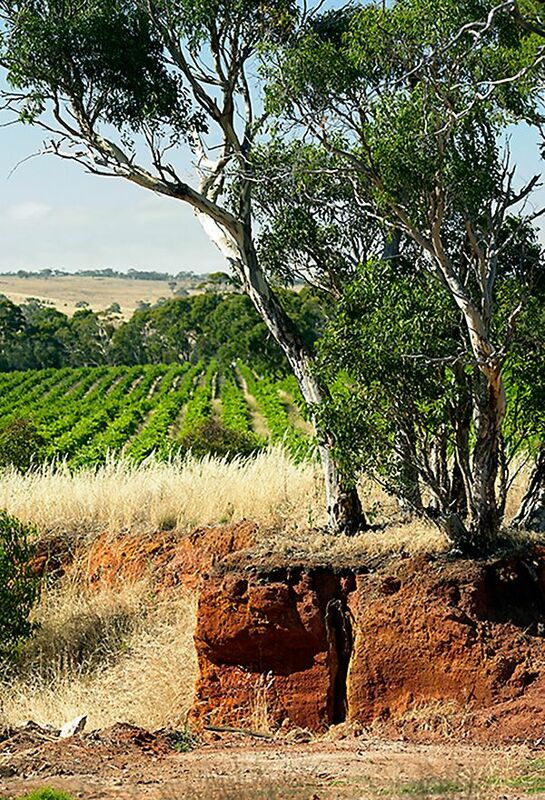 It’s within McLaren Vale but it’s on such a steep slope, there is nothing quite like it in McLaren Vale. Jess had a saying, it went something like, ‘Mountains, Hills and Benches’, I think that was it. He didn’t like planting in the valley floor. So it ticked that box, was a large enough estate to develop and it had a track record. The fruit repeatedly made it into some of Penfolds’ premium wines. In the early days it also went into Eileen Hardy as well as three single vineyard wines from Clarendon Hills. From the time we looked at it, we closed the deal in three months. One of the highlights for me was the Cabernet. 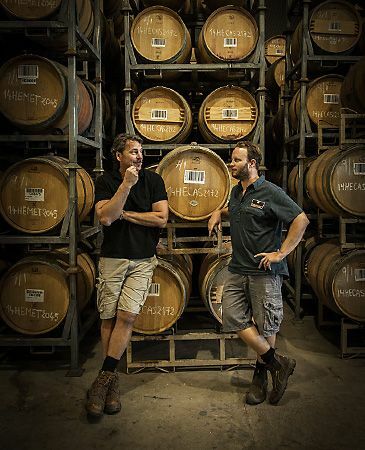 Right from the time we took over, we organised Chris Carpenter another of the Jackson family winemakers, based in California to come out and work with us. I respected Chris’s winemaking skills and I felt that his worldliness, his ability to go to a new place and not put his stamp on it and not just replicate another Napa Cabernet, would give the wine a sense of place. He’s done that and I think there’s a huge future for this wine. I suppose I had the opportunity to be the winemaker for both Yangarra and Hickinbotham Clarendon Vineyard. I didn’t want to take my Yangarra style up the hill. I thought it needed to have its own winemaker and style. 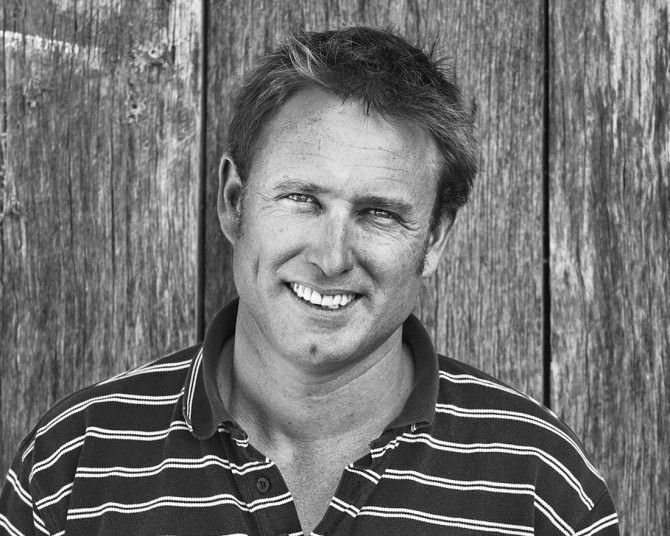 Charlie Seppelt was one of the most passionate committed winemakers I had seen in the Vale. He reminded me of myself at his age, he’s a great ambassador for the vineyard. We also have a nickname for him here, ‘Back Seat Barry’, as he’s always in the background telling us what we should be doing with Yangarra too. I love it, I really like to be challenged. In a funny way even with Chris’s involvement with Clarendon , the wines are a little more Australian, but that’s Charlie. 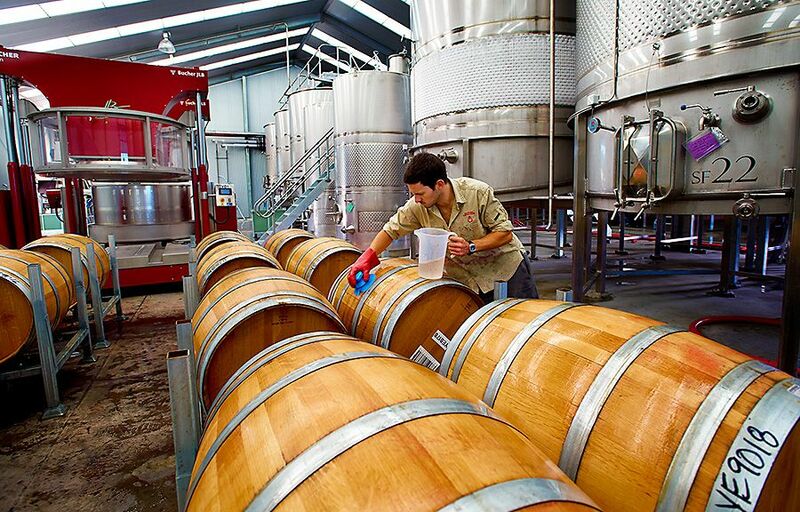 He’s a fifth generation Australian from the Seppelt wine family. We all have a few conflicts, but that’s healthy, our CEO Rick Tigner calls it ‘positive conflict’. Your head office is on the other side of the earth, how often do you meet with the family ? Our new Jackson Family President Hugh Reimers is an Australian, I report to him directly. He comes out once a year to see family as well. I get over there once a year to meet senior management. The amazing part of the family and the company, is their long-term vision. Like planting the bush vine Grenache, building the winery and right now all the new planting. 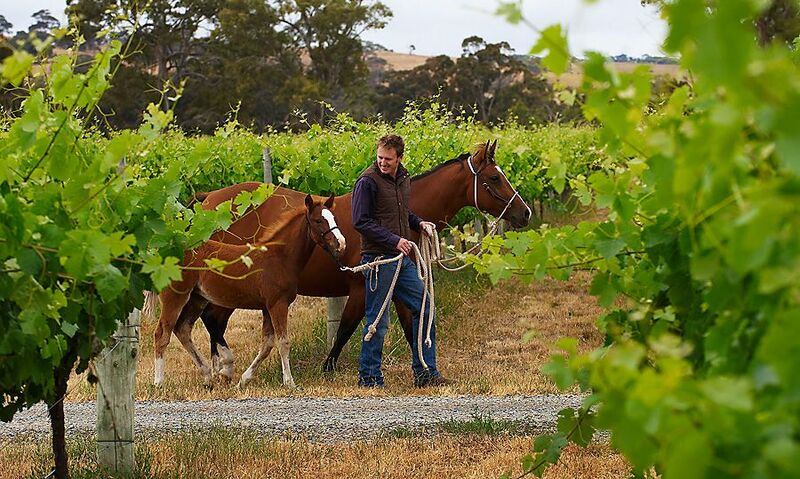 You were recently named James Halliday’s ‘Wine Companion Winemaker’ of the year. How was that ? Pete with Michael and Shelley at the James Haliday awards night : Photo supplied. To get the award was an incredibly proud moment. I still shake my head thinking did this really happen. For me the most exciting thing was taking Michael and Shelley with me. We are a team, they were very instrumental with me in getting the award. To see Michael and Shelley smile was just fantastic. Because sometimes I’m seeing them shake their heads, I’m sure they think I’m crazy at times. This secondary endorsement is a good thing. It was an amazing night I don’t remember much, and the worst part was there were some wonderful wines on the table and I can’t remember any of them. The other thing that was really great about it, was that James’s following with the consumers is huge. We’ve been a quiet industry brand, spent most of our time talking to independent retailers, restaurateurs, sommeliers, so the average consumer would have absolutely no reason at all to have ever heard of us. The award has really introduced us to the consumer. 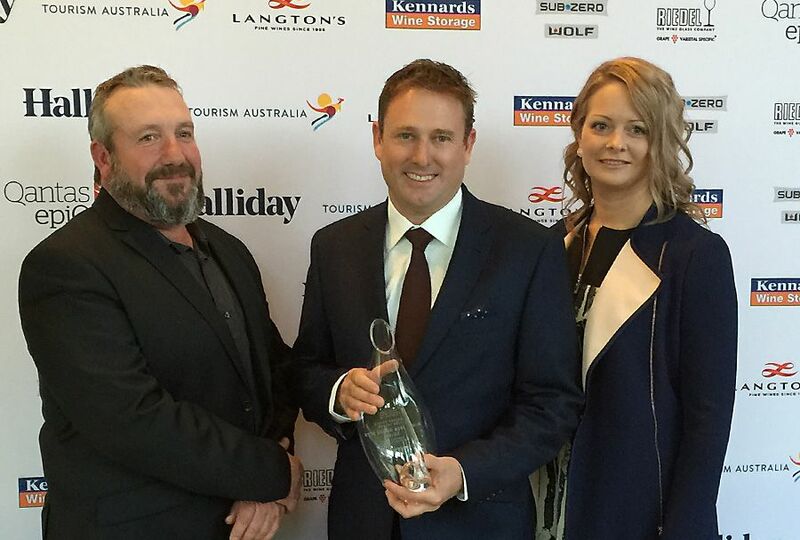 The award was also good for McLaren Vale. 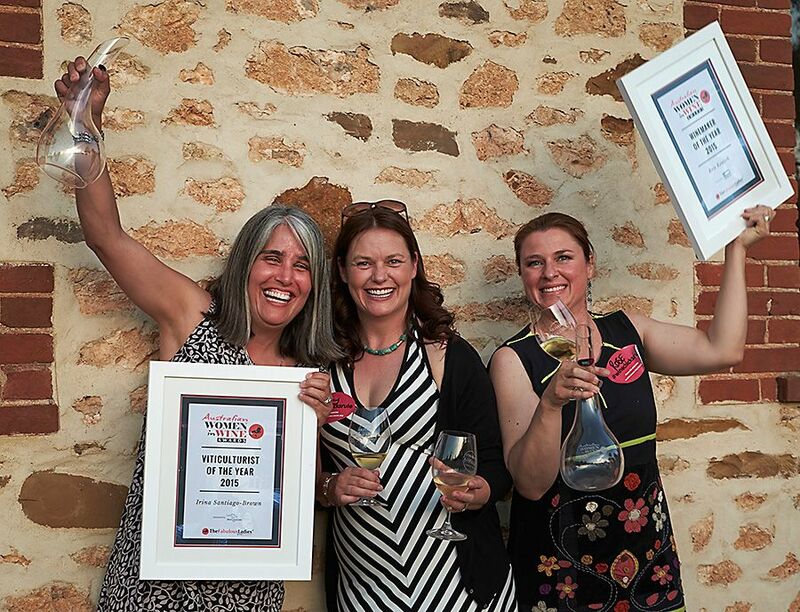 It gives consumers confidence in the area, especially seeing as Steve Pannell, recently won the Gourmet Traveller Wine maker award as well, and in the inaugural Australian Women in Wine Awards, two of the main awards went to the Vale. Rose Kentish, Winemaker of the Year and Irina Santiago-Brown, Viticulturist of the Year. 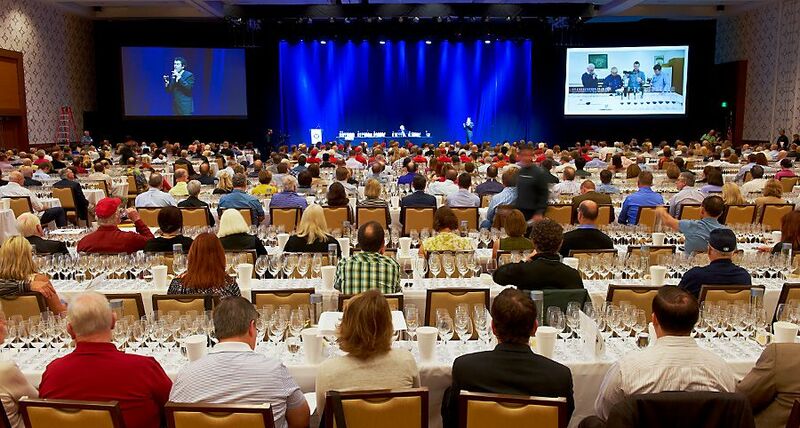 You can get all the big scores, win all the trophies in wine shows, but that doesn’t quite match this recognition in terms of consumer recognition and sales. Bio Dynamic / Organic vineyard : Vineyard sheep, Why ? We started playing around with it 2008. My ex-wife and I had an organic store. I became interested in it, but to be honest at that stage it was only on a commercial basis. I didn’t know anything about it so I went to some seminars. I went to one put on by the Biological Farmers Association and presented by BD expert, Manfred Klett. 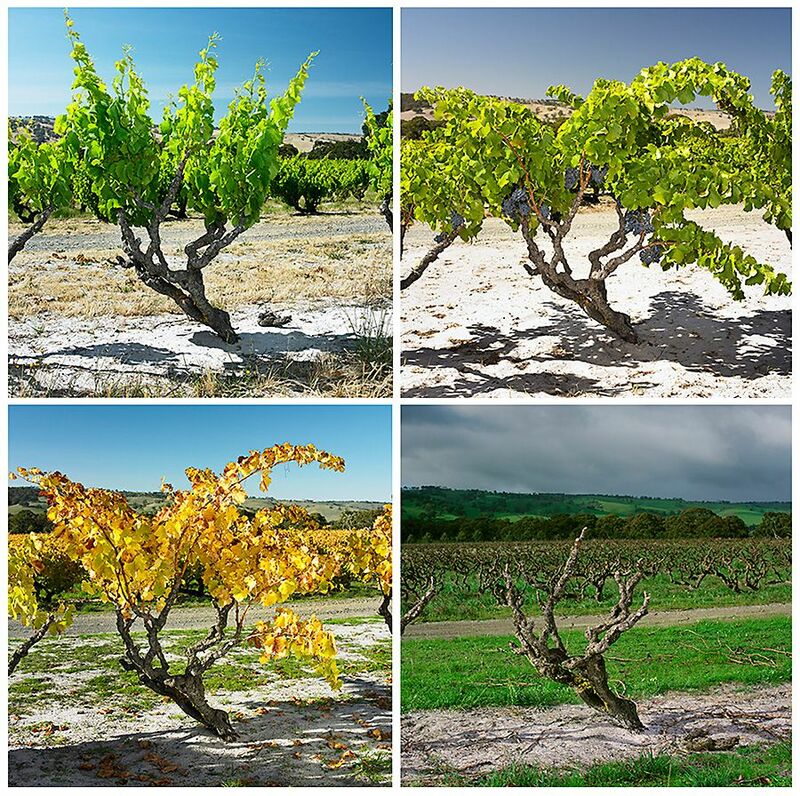 There was a lightbulb moment, he was talking about the cycles of a plant, when you spray herbicide, especially to an orchard or on a vineyard environs, you remove all the other plants making the soil bare, that removes the natural environment for the microbes and worms. That’s where they live and they don’t live in bare dirt. He explained the systems, how it all worked. The other one was synthetic fertilisers that cause rapid growth. Both of these two things are the key ingredients to commercial farming. These cause rapid growth but really weaken the plant. The plant actually loses touch with its ability to be able to take out the mineral elements in the soil in a natural environment. That was the lightbulb. So we’re talking about wines that show a sense of place, yet we are blocking all the natural things that happened in the natural soil for that sense of place to be released. It would be like us people eating fast food all the time we would become weaker and then we would have to buy multi vitamin tablets. It’s a journey and we’re about halfway through, but we’re getting there. The technology to help us is developing really quickly, for example the equipment we need. New machines now allow us to mow under the vine. We try not to disturb the soil, as much as we can, so going back to the point we want the soil to be in a natural state. 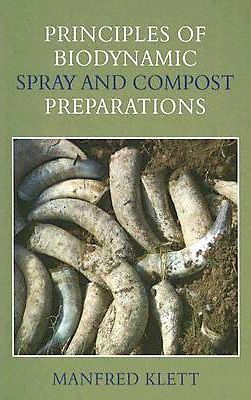 If I had to give somebody some advice starting from scratch, it would be compost, compost, compost and more good compost. In the future I would like to use more animals – all herbivores, and birds such as poultry together in your system, because they have the ability to reduce weeds and have inputs..
Michael Lane our viticulturist has been incredible. At University we are taught that if you get this, you use that to get rid of it. So it’s been a huge leap of faith, and he has embraced it. And the whole team has embraced it as well. Between the two of us and the team we are constantly throwing ideas around. 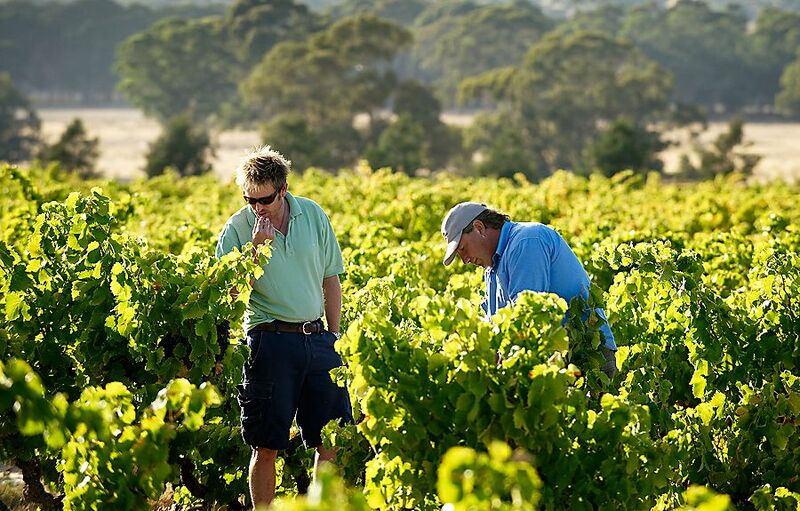 Philip White one of Australia’s most highly regarded wine writers lives on the vineyard. What’s it like having him as a tenant ? In the early days our marketing was driven from the US. Somehow I felt the story we were telling did not quite gel with what we were doing. During that time the Jackson family and senior management were starting to give me more autonomy. At one of the meetings I mentioned – ‘one of the most amazing writers in the country I know quite well. I wonder if we can encourage him to spend a day at the winery and hang out and tell our story.’ I felt this was a better way to go. We could then take excerpts and use them as we need them. I asked Philip White if he was interested. Luckily for us he was. Luckily at the same time he was also looking for a new place to live. We had a cottage and we came to an arrangement, he’s still here. I’m so lucky to have him around, I actually thanked him in my acceptance the speech for the James Halliday award. He does a lot of tasting. He often rings me if he sees something that floats his boat. ‘Come up and try this’ he says. He takes me outside the square. He’s been an incredible influence on the way I’ve thought about things. I’m a bit too organised right brain and he is definitely left brain. And that’s a great thing. His wealth of knowledge in all areas from gastronomy, geology, wine and even religion is amazing, and he just writes so well. So we’ve become very close friends, he’s introduced me to so many great people like Cheong who cooked today, Tony and Lita at Wendouree, Peter Gago. I often feel privileged to be in the room with these people. I have had a bit of taste of the travel Peter does. 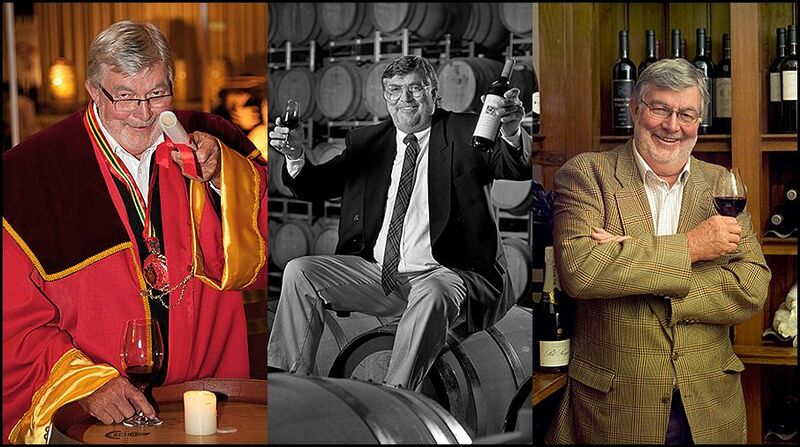 He is an incredible ambassador for the whole Australian wine industry. How do you describe the wine style you are hoping for. 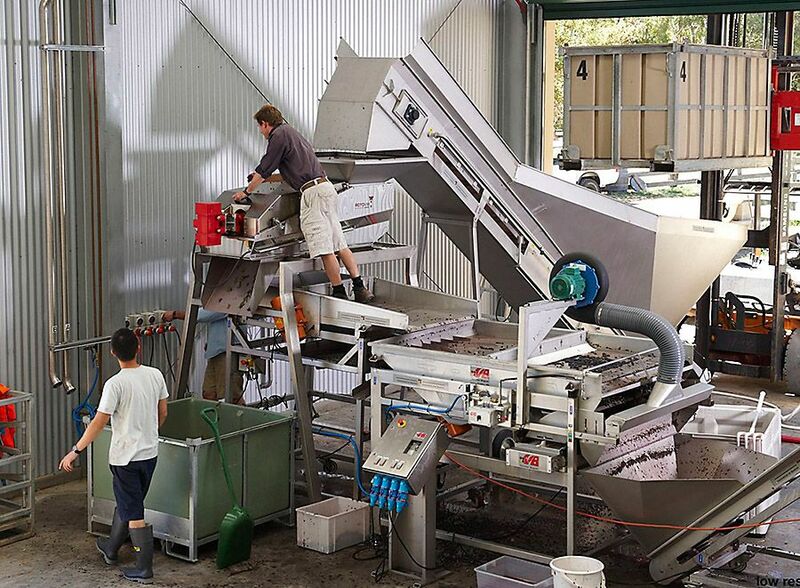 The wines we are producing now are fresher and brighter. Some of that is from our sorting table removing the raisins, some of it is the timing, when we’re picking the fruit, some of it’s a more sensitive winemaking philosophy. It’s just been an evolution. I’d also like to think the wines show more of a mineral element character, I don’t like to use the word minerality , because I think it’s too vague. Our geology here is the North Maslin Sands, which is actually Iron rich Sandstone. With its high iron content that leaches into the clay, and above that is sand which is 99% silica. So the wines hopefully reflect the geology via the sand and clay. I look through tasting notes of wine writers and what they see in the wines. They note there is there is a iron and iodine character in our wines, and I’ve noticed this is much more distinctive in the last two or three years. Whether I’m biased, because we are farming a certain way I can’t say. I feel there’s a purity to the wines, it’s one of the really big spin-offs for natural farming. We are always learning, it’s fascinating to watch changes in farming techniques, all those little things add up. Singularly they don’t make much of a difference, when you add them up they do make a difference. It seems to me that the really successful people always have a great attention to detail especially with all the small things. I sometimes think they must all be obsessive-compulsive. Ceramic eggs and Pinot characteristics in regard to Grenache ? Pete with a Ceramic egg : Photo © Randy Larcombe. 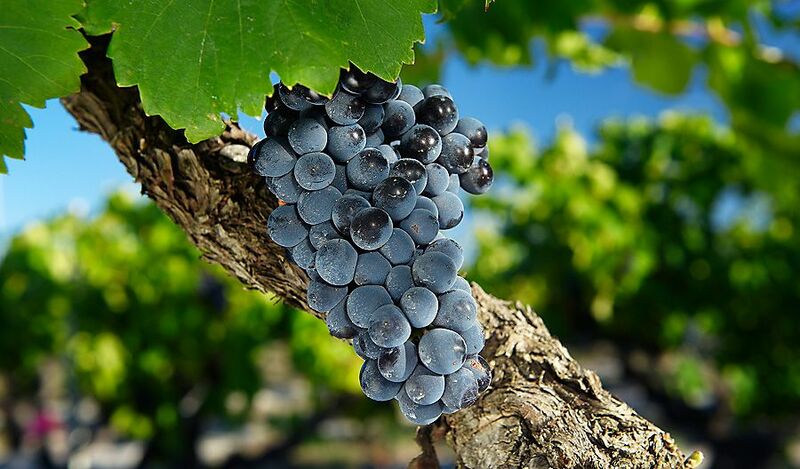 Pinot characteristics are often mentioned in regard to Grenache, this is often with no new oak. In 2013 we started using ceramic eggs. We are doing that on the extended maturation of 100 to 150 days, it’s giving some lovely textural characters. No oak influence at all, so you get this beautiful pure expression of fruit. As a consequence, we are buying many more eggs this year. We could have sold twice as much as we produced. We wanted the wine to have texture and layers of flavour, which is where the eggs have been great; it seems to have more interest than if you put it in stainless steel. What are you planting now ? It seems to me an absolute no brainer, with our warm climate, that the Mediterranean varieties suit us here. 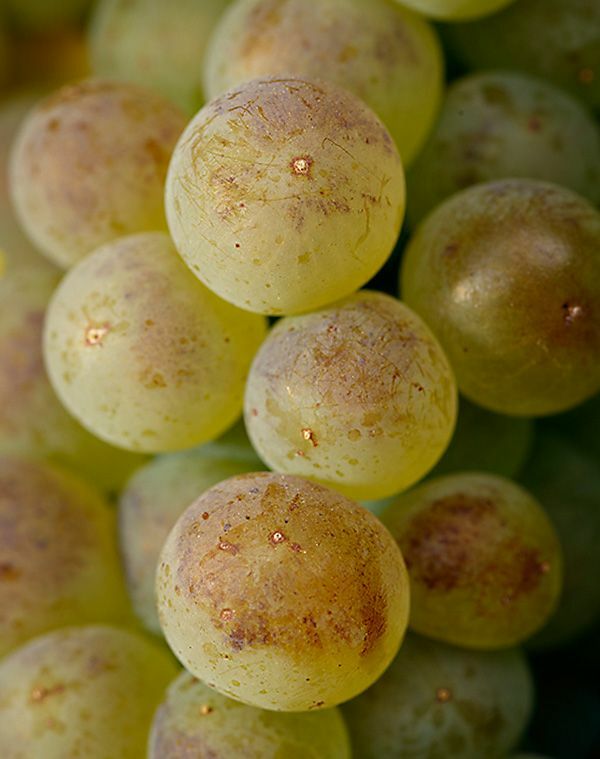 I think the whites will do very well especially, the Grenache Blanc. 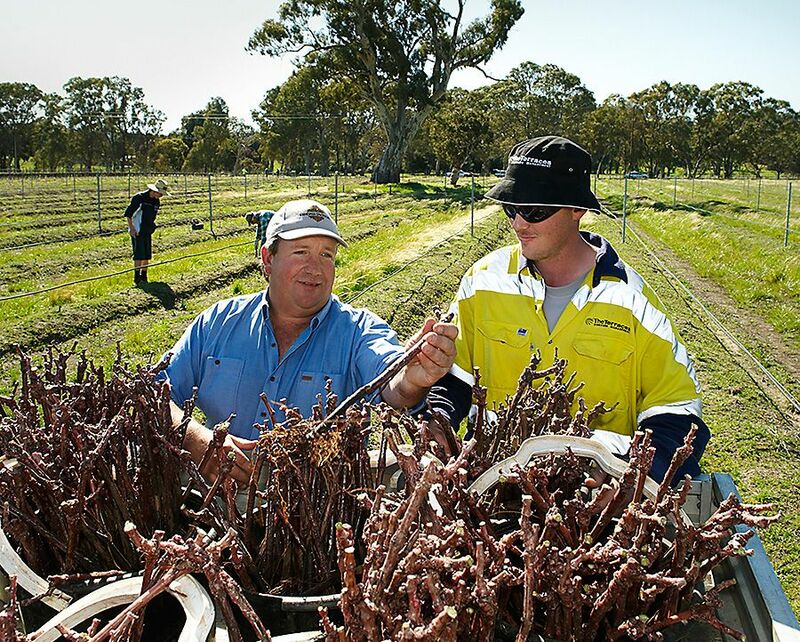 We’ve been working really hard with the Yalumba nursery. I think we have 800 in the ground, and getting ready for our biggest planting next spring. I’m hoping we have a tiny tasting in 2016 and the first vintage. You produce three Grenache’s , Tell us about them ? High Sands Grenache . It is the lowest yielding, about half a ton per acre. That’s very tiny but what’s interesting with that wine it has an amazing concentration, but it also has a lightness to and a freshness and brightness to it. 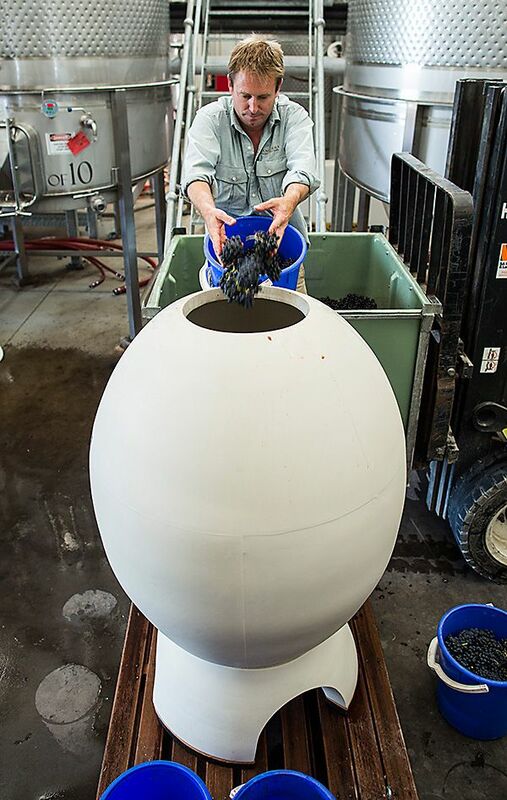 The ceramic egg Grenache, has developed its own character, setting it apart from the estate Grenache. It’s the finest and prettiest. The Estate Grenache is incredible value from the low yielding Old Bush vines. It shows great depth of tannin, bright fruit and is the back bone of the estate. 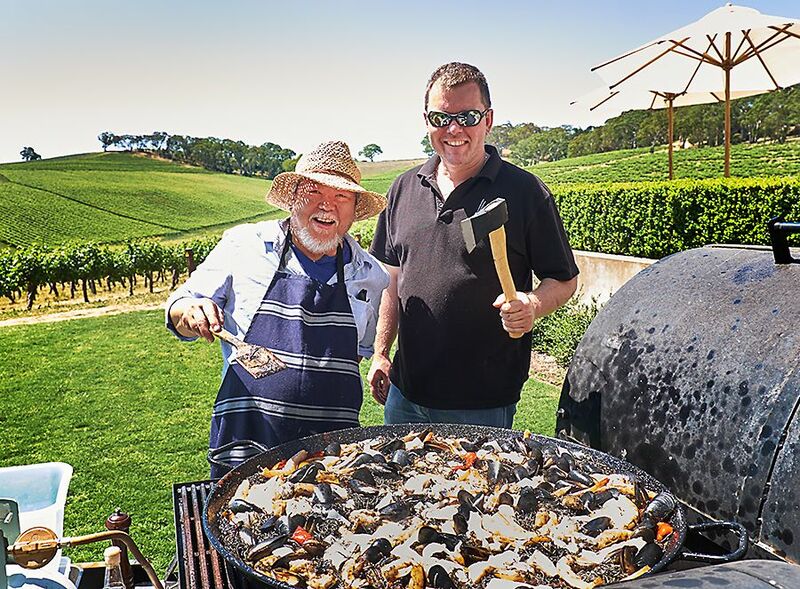 McLaren Vale and Grenache ? We recently had the McLaren Vale wine show. I was sitting down with all the judges, some were from Victorian and New South Wales. I talked to Dave Bicknell, he couldn’t believe the Grenache class, they gave 10% of the wines a gold medal. ‘This stuff is by far the best in the country ‘, he said. Then you’ve got Steve Pannell, his Grenache Shiraz Touriga gets top of class in the Melbourne Wine Show. 2015 Bushing King and Queen, Stephen Pannell and Fiona Lindquist. Photo © Angela Lisman. That wine has just won the him the title of Bushing King. Steve’s acceptance speech was beautiful. He finished by saying something like “get onboard the Grenache train is coming”. I find it funny that it’s still a rarity in the region. I believe it’s only around 8 percent of the total red plantings. Tim Wildman MW bought about 46 International MW’s here just recently, they were just blown away by the Grenache. The biggest story they came away with is what an amazing resource we have here in the Vale. I feel very fortunate for Jesse’s support and vision back in 2005 when we planted all those bush vines and everyone thought we were crazy. They are producing now. 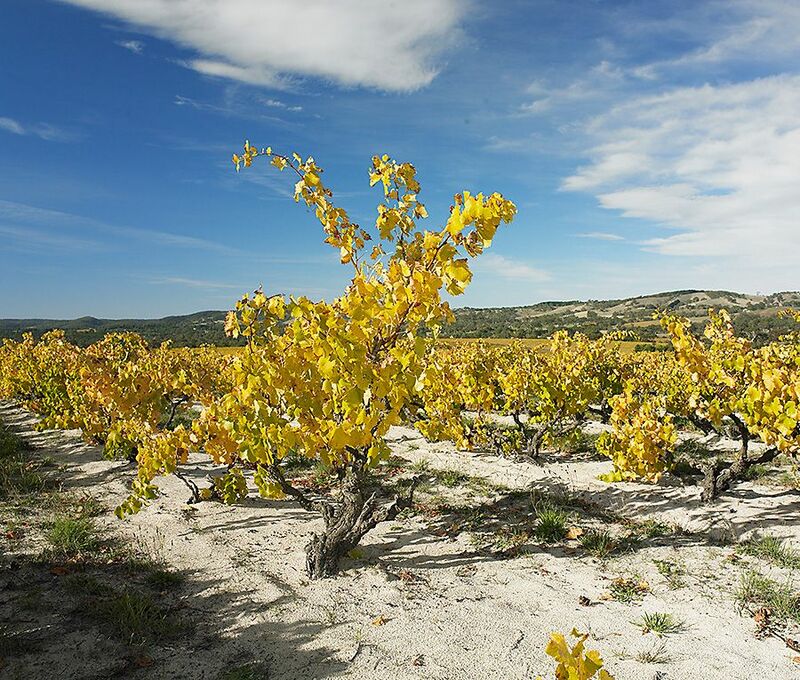 Twenty years ago Grenache was the number one red variety in the world. I think Spain is the number one producer. There are a few really great ambassadors for Grenache in the area. Steve Pannell has been a pioneer as has Paul Carpenter. These people seem to have a real touch with Grenache. But they also know where the good vineyards are and all the great Grenache is produced from slow-growing older vines. 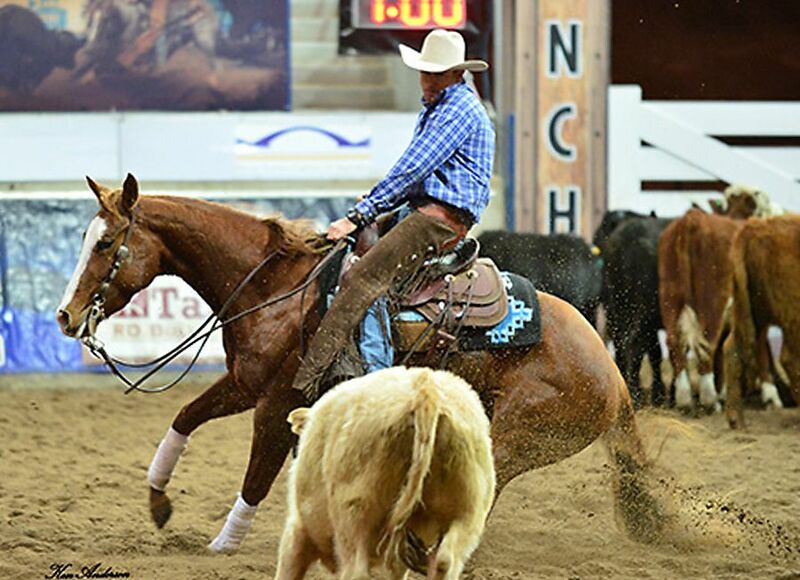 Peter competing at the 2014 National Cutting Horse Open Derby in Tamworth. Horses are my release away from wine. When I was a kid my dad used to take me up to a Quarter-horse stud ‘Willamurra’ at Kersbrook. I didn’t ride in my 20s, then the bug bit again. Unfortunately I don’t get as much time to ride as I’d like. More recently I’ve been competing in Camp Drafting. I’ve got a horse trailer and I just love getting away for the weekend. We sit around with a glass of wine, well actually it’s normally a rum or a beer. Quite different than the wine industry. There’s a down to earthiness about it that resonates with me. Not sure I’d call it relaxing but it’s cleansing. Keeps my dad busy, cause he’s always looking after them when I’m away.